I grew up eating traditional Mexican food. Truth be told I am not the best cook when it comes to making those traditional from-scratch Mexican platillos, but I still like to incorporate those Mexican flavors and ingredients whenever possible into my dishes. I am someone who likes to get in and out of the kitchen fast, usually only having about 30 minutes to prep and make a meal. So I like to keep things nice and simple, but I still want my dishes to be flavorful and delicious. When I sit down to that 20 minute lunch, I want to enjoy that dish and I want the kids to enjoy theirs when they come home to eat theirs too. For those quick dishes there is always a secret weapon that provides that authentic Mexican sabor that my mamas dishes always have, even if I am just making a quickie pasta. Knorr Caldo de Tomate Bouillon, are the little cubes that I can throw into many of my recipes, to give them that real homecooking flavor of my childhood. 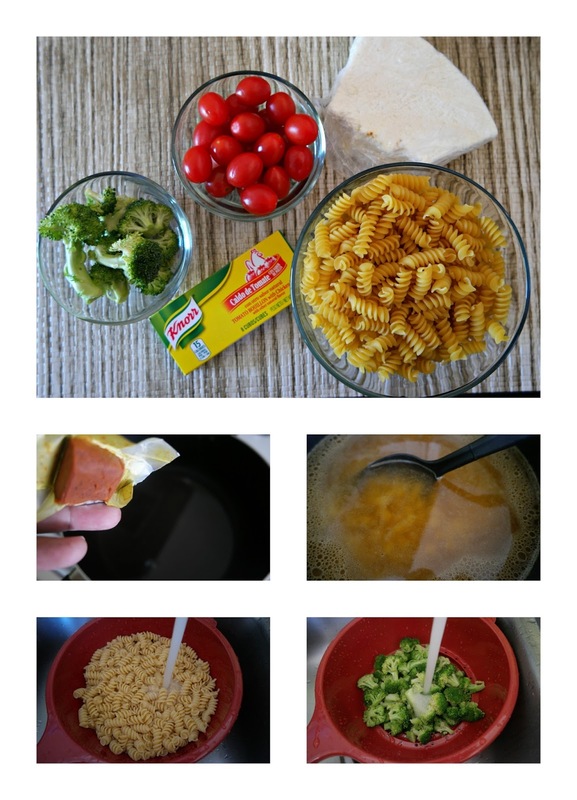 Today I want to share how I incorporate it into one of my quickie pasta dishes. Directions: Set water on stove to boil, once boiling add Knorr Caldo de Tomate Bouillon cubes, olive oil, pasta and stir to mix. Cook for about 10 minutes stirring every few minutes. Once pasta is ready: pour into colander and run with cold water, drain. Pour into a large serving bowl and add tomatoes, broccoli and top generously with queso cotija. Serve at room temperature or chill in the refrigerator. We usually make doubles of this pasta and just store in the fridge for quick lunches and snacks. You can serve this on its own or add crackers or tortilla chips. I love this pasta because of how easy it is to make and how using the Knorr Caldo de Tomate Bouillon cubes and queso cotija we still get a taste of traditonal Mexican flavor. 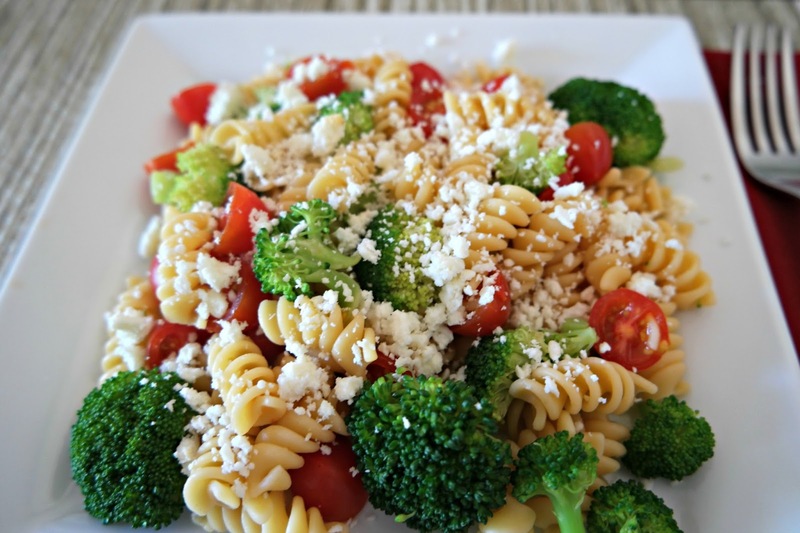 Not being big meat eaters, this pasta allows us to enjoy some carbs, veggies and queso, which we all love! This weekend I attended a Knorr tasting and demo event at my local Walmart where they shared recipe ideas for using Knorr products. I can always use a hand in the kitchen so I was really glad to find an event in my area. 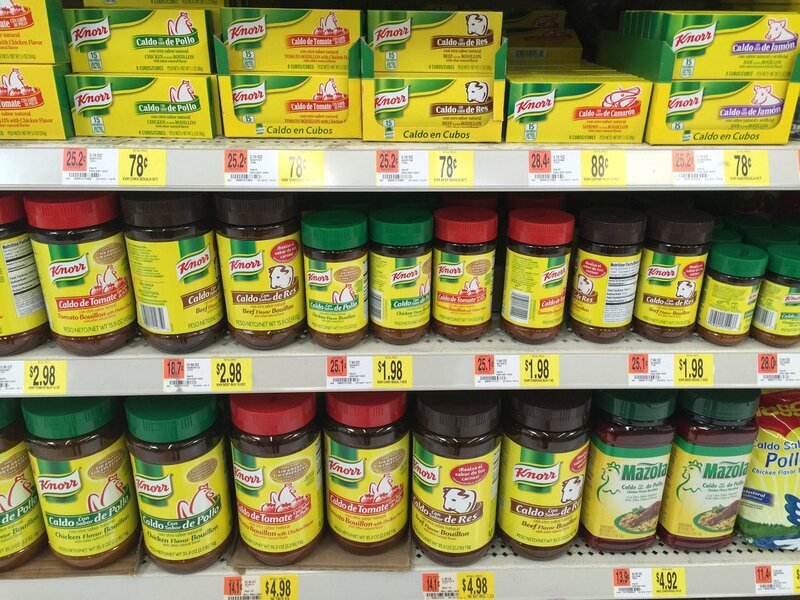 If you are also looking for inspiration or a way to kick up the flavor in your dishes, stop by Walmart for Knorr products and all of the other ingredients you will need. 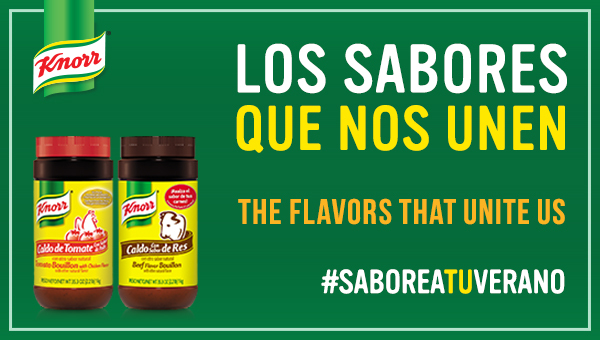 #SaboreaTuVerano with Knorr.